If you have an apartment building, one of the changes you may want to consider making is an accommodation for disabled future tenants. In some areas there are more disabled people than others, of course, but any complex can have tenants who are disabled and looking for a place to live, or tenants who become disabled at a later date. Making most of your apartments accessible to people with physical limitations can mean more of an opportunity to keep your apartments full. You can also follow ADA guidelines and make it known that you do, which will attract more people to your complex. 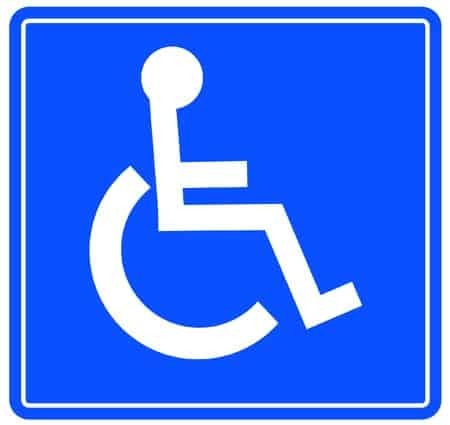 There are a number of accommodations you can make to help out tenants with disabilities, and some of them are more realistic than others. Wider hallways, for example, are easier for people in wheelchairs, but they aren’t something you can put into a building after the fact. However, you can make sure there’s nothing obstructing the current hallways, and that they’re well lit. You can also make sure the elevator is serviced properly and in good repair, if your complex has one. That way, you won’t end up with tenants who can’t get to their apartments safely. In the apartments themselves, wider doorways and open spaces are good choices for those who may have trouble getting around or may need to be in a wheelchair or use a walker. Additionally, simple remodeling changes like grab bars in the bathroom for the tub and toilet areas can help people with limited mobility or other physical challenges use their facilities safely. These bars aren’t expensive and they don’t take long to install, but they can definitely make a difference in the quality of life a disabled tenant has, and that’s very important. While you’re making changes to accommodate tenants with disabilities, be sure to consider the kitchen. Lower countertops, and more cabinet space that’s easy to reach, can really help tenants who are disabled do things on their own. Not every tenant who looks at your apartments can be accommodated, as there are changes that are simply not cost effective to make. But if you consider simple changes while you’re already remodeling, you may make it easier for someone who struggles to find an apartment they can use safely and properly. That can be a great feeling, and can also help you keep your apartments filled, so you aren’t losing money on vacant units. The more options people have when it comes to whether they can live in an apartment you have for rent, the better the chances of them renting from you. As long as they’ve been properly screened and check out as good tenants, it’s a beneficial relationship for both of you. If tenants ask for small accommodations based on a disability, you may also want to consider making those. They’ll not only benefit that tenant, but may also help out other tenants in the future, which could result in happier renters and a unit that rents out more easily.